BY late 2011, my blue Alfa 147 was over nine years old and, despite the fact that it was still in excellent condition and drove beautifully, I reckoned it was time for a newer model. 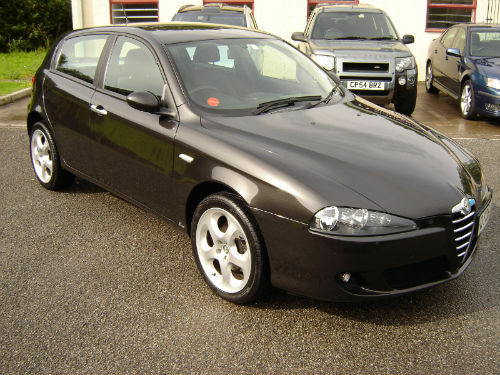 In October 2011, I part-exchanged it at a used-car dealership in Cornwall, and took possession of a very smart opalescent black 2-litre Alfa Romeo 147. The asking price was £4,695 and I received a good trade-in allowance. The black Alfa was lovely and I was very happy with it, but there was initially a dispute with the dealer over provision of a second key. His promise that the spare would be obtained and sent on did not materialise and I had to threaten legal action before he eventually backed down. It was all rather unnecessary and it soured what had been a good deal.